Scheduled for dizziness (VNG) testing? Here's what you need to know. If you are experiencing dizziness, you are not alone. Did you know that dizziness affects as many as 35% of adults 40 years of age or older in the United States? This means that approximately 69 million Americans have experienced some form of vestibular dysfunction. In many cases, dizziness stems from dysfunction of the vestibular portion of the balance system, which is located in the inner ear. Patients who experience vertigo (a sensation of spinning) or other forms of dizziness are often referred to our office for vestibular testing (known as videonystagmography, or VNG, testing) to help determine the source of their dizziness. 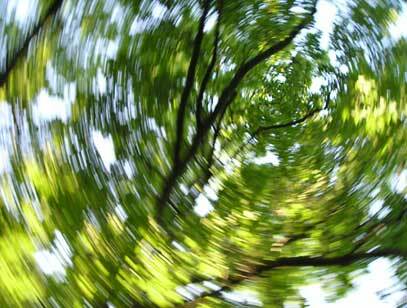 It can be very unsettling to experience dizziness, as it often makes people feel out of control. We have put together an outline to describe the testing process, what you will need to do to prepare, and to calm any fears about the testing. Since the inner ear is comprised of a hearing and vestibular portion, disease processes that affect one often affect the performance of the other. This is why an updated audiogram is necessary before we can proceed with a VNG. An updated audiogram is a hearing test performed by a licensed audiologist within the past year. During the VNG test, the patient will wear goggles that closely monitor and record eye movements. The patient will then be asked to visually follow moving targets on a screen, and then to move his/her head and body into various positions. During the last part of the test, the audiologist will use a small tool to introduce cool and warm air into each ear. This part of the test stimulates the vestibular portion of the inner ear. For some people, this may cause some dizziness; however, rest assured that if this does occur, the sensation of dizziness is usually very brief. NO food or drink up to four hours prior to the testing. Please dress comfortably, and do not wear any eye makeup to the appointment. Eye makeup interferes with the ability of the goggles to monitor eye movement, and may invalidate parts of the test. IF you have any blood sugar issues, please eat something, but keep it light. Dizziness VNG testing is non-invasive. There are no injections and no drugs to take. The test will take roughly an hour. Do not hesitate to call Audiology of Tulsa with any questions or concerns about the VNG. 1. Agrawal Y, Carey JP, Della Santina CC, Schubert MC, Minor LB. Disorders of balance and vestibular function in US adults. Arch Intern Med. 2009;169(10): 938-944.